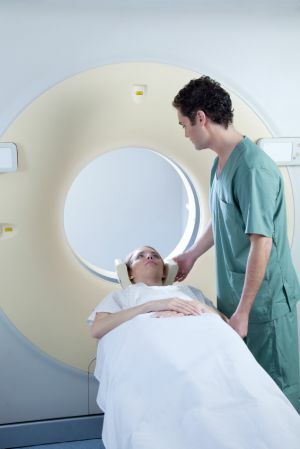 When is the right time to recommend a diagnostic imaging test? It can often be argued that procedures such as CT scans are invaluable to determining a patient’s malady. However, it can be equally beneficial to both your clients and your practice to take a step back and reevaluate the situation. Imaging tests such as CT scans, MRIs, and even mammograms top the list of Change Healthcare’s 8 Health Procedures with the Biggest Variance in Price list. According to the report, CT scans vary in cost by up to 800%, or $2000, depending on where they’re administered - even if the patient stays in the same zip code. This lack of regulation in the industry is due for a change. While this may sound like a huge cut in revenue, in the long term, a more conservative approach to diagnostic imaging radiology will benefit physicians and radiologists alike. The unchecked costs of tests have reached the level where they are inaccessible to many clients. Further, because the (often inflated) cost does not necessarily reflect a higher quality result, patients are increasingly loath to agree to them. Without change to the industry, radiology as a craft will suffer greatly. In addition to the ACR’s initiative, companies like Spreemo have begun to gain popularity, which attests to the impending need for reform. Spreemo is a radiology cloud that connects physicians, insurance, and patients to facilitate cost effective care. Further, the company is working to enable a rating system for imaging facilities. These ratings will take into consideration what technology is used, and in addition to rating the equipment, will also rate the radiologist in charge of them. This allows not only the physician but also the patient to have a say in the quality and cost of the care they agree to. There’s no doubt that technology such as this will lead the way to a more fair and balanced diagnostic experience, though there may be diplomatic bumps along the way. The radiology field is in a state of flux, but those physicians and radiologists who embrace the change and educate themselves on new policies and initiatives can rest easy. Not only will the new standards allow for professionals to gain recognition for their professional agility and concern for patient well-being, but they will also be more likely to blunt the blow as diagnostic imaging radiology tests are ordered increasingly infrequently.